Editor’s note: Mark P. Jones is the Joseph D. Jamail Chair in Latin American Studies and the Chair of the Department of Political Science at Rice University in Houston. The views expressed are his own. Hugo Chávez was a great unifier. Not of all Venezuelans, as even the most casual observer of Venezuela realizes, but rather of the two polar political camps into which Venezuela divided during Chávez’s 14 year reign. Within the Bolivarian movement he created, Chávez was the unquestioned leader, bringing together the disparate factions that together made up the governing United Socialist Party of Venezuela (PSUV). Cliques, distinct ideological groups, varied regional-based interests, and a new wealthy business class (the Boliburguesía, whose members experienced a rise from rags to riches due to their ties to the government) were all united by their support – both principled and self-interested – for Chávez. On the opposition side, the one common thread that tied together a heterogeneous opposition alliance (the Democratic Unity Roundtable, or MUD) was the goal of removing Hugo Chávez from power. This vibrant and often passionate opposition to Chávez provided the glue that held together such diverse actors as socialists, conservatives, state-based parties, recently established parties, and parties linked to the country’s discredited pre-Chávez political system. Both the PSUV and MUD are expected to at least on the surface remain unified in the run-up to the presidential election, which will be held later this year. The pro-Chávez forces have already begun to rally behind the candidacy of interim president Nicolás Maduro, with Maduro’s principal rival within the Chavista movement, National Assembly President Diosdado Cabello, putting aside his own personal ambition, for the time being, to present a cohesive Chavista front. Within the opposition, Miranda state governor Enrique Capriles is virtually certain to be the MUD’s presidential candidate. Unlike his principal rival for the October 2012 MUD nomination, Pablo Pérez, Capriles won his gubernatorial re-election bid in December 2012, while Perez lost in his attempt to lead the state of Zulia for four more years. One interpretation of the Venezuelan Constitution is the presidential election must be held within 30 days of the president’s death, while another is the election must only be scheduled within 30 days, with the election held at a later date. Regardless, one thing that is not in doubt is that given the PSUV’s control of the executive, legislative and judicial branches, it will have no trouble imposing whichever of these two interpretations it thinks will provide it with the maximum electoral advantage. Capriles faces an uphill battle in his second bid to become president. 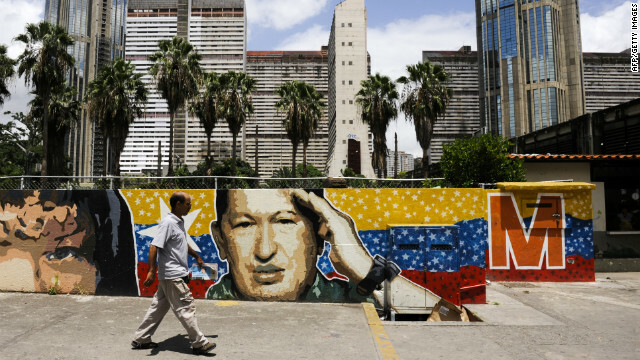 As Chávez’s anointed successor, Maduro is expected to present his campaign as the natural continuation of the Chávez regime, surrounding himself with the image of the departed comandante, and framing the election in part as a referendum on Hugo Chávez and his legacy. Capriles must walk a delicate tightrope, aggressively criticizing Maduro and highlighting the deficiencies of the Chavista model without being seen as disrespectful of the recently departed Chávez or his achievements. Assuming relatively comparable voter turnout, Capriles will need to convince approximately one million Venezuelans who cast a vote for Chávez in October 2012 to vote for him later this spring even as many of these former Chávez voters are more likely to remember the positive aspects of Chávez’s legacy than the negative. At present, the most likely (although not certain), outcome of the upcoming presidential election is a Maduro victory. This victory in turn would lead to a period of jockeying for power within the PSUV, as different factions and actors endeavor to obtain the maximum amount of influence and access to resources within the new regime. In the event the PSUV is able to successfully broker a stable power-sharing agreement, its prospects for consolidating its already formidable hold on power are quite good. If, however, the PSUV is ripped apart by internal discord following Maduro’s election, then political, economic and societal conditions could deteriorate rapidly and significantly within the country. The MUD faces quite a different challenge. Some of its more moderate members can be expected to formally or informally defect to the PSUV based on the belief that in the post-Chávez era they will be better off as members of the PSUV’s conservative wing than of the MUD’s progressive wing. Absent the great unifier, the MUD seems destined to experience a fracturing of its diverse membership following the presidential election, especially if Capriles is defeated. Chavez, who was able to prevail over his political enemies while alive, might prove an even more devastating force with his passing. hugo chavez was the greatest man that ever lived viva chavez viva venezuela chavez is immortal in and frozen in time. @sands,if Chavez was such a great unifier why is there so many disenchanted venezuelans in this country called UNITED STATES..More Venezuelans are here from Chavez than any other leader in their countries history ,don't be so blantantly ignorent !! Chavez gave the GLOBAL SOUTH a consolidating axis.his struggle against neoliberal market forces ,the neocons obfuscating geopolitics and initiation of a "third path" of societal development were some landmarks of his itinerary.the world will not be the same. Chavez was indeed an "unifier". He created a club of controversial leaders like Cuba's Raul and Fidel Castro, Zimbabwe's Robert Mugabe, Iran's Mahmoud Ahmadinejad, Belarus's Alexander Lukaschenko, Ecuador's Rafael Correa, Bolivia's Evo Morales etc. Maduro doesn't have Chavez's charisma to appeal to these mavericks. Venezuela's should like obama administratin. Obama admin completely took a hands off approach from any country's affairs in the world if you look at their action over the last 4 years. France kinda dragged U.S into Libya. It only just keep its committment for Israel and did absolutely necessary thing for american safety like killing osama bin laden. It lets countries tackles their own affairs however they want to handle their own affiars. It's not acting as an aggressor to any country in the world.. It's completely disengaged from internal country affairs. True Muin, Obama doesn't like meddling in other countries affairs compared to most American Presidents of recent memory. He dealt with Chavez very very intelligently and as such Chavez couldn't find the right ammunition to attack him compared to Bush. America has become more divided under Bathhouse Barry. The goal of the elitists funding these guys is to deconstruct America socially so that it fails and they can implement their Marxist utopia. Look at the Soviet Union, Mao's China, North Korea. That's what they want here. He did rally people together, however he blamed America and American thought for all of his countries problems. I personally am glad this loud mouth is no longer with us.